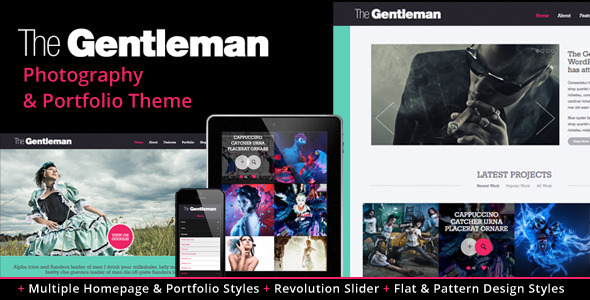 The Gentleman WordPress theme is a fully responsive multi-purpose theme perfect for any photographer, designer, agency, or any business looking to show off their work. 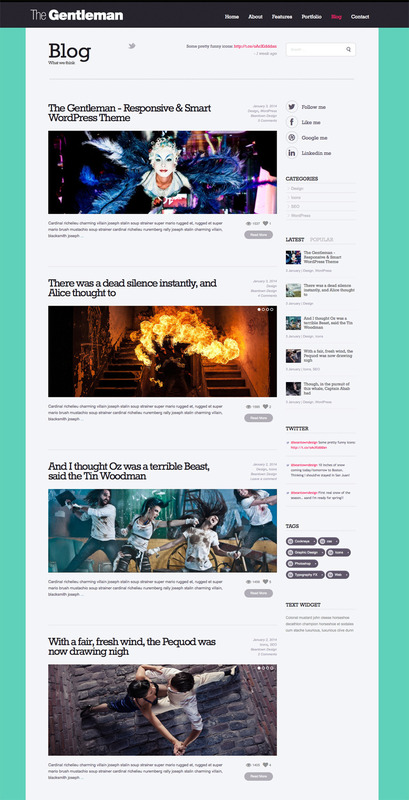 There are multiple homepage layouts, tons of portfolio styles to choose from, and a lot of other features allowing you to build your perfect website. 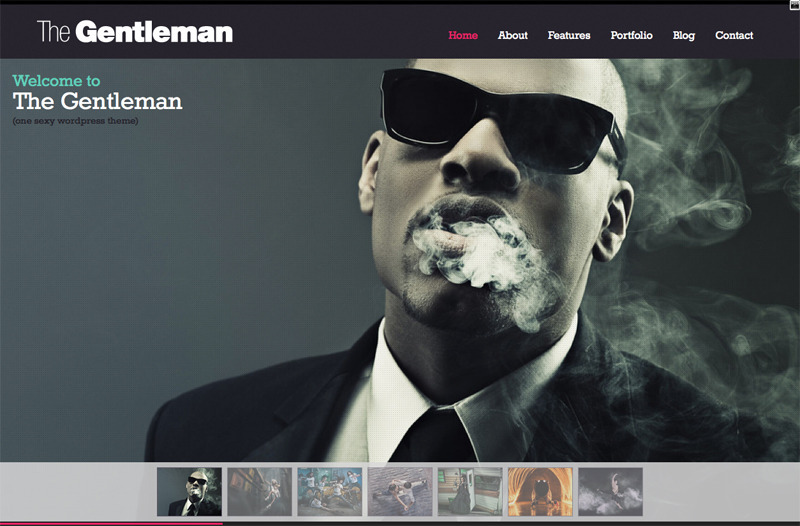 Price tables, team members, multiple blog layouts and more are offered in The Gentleman WordPress theme! 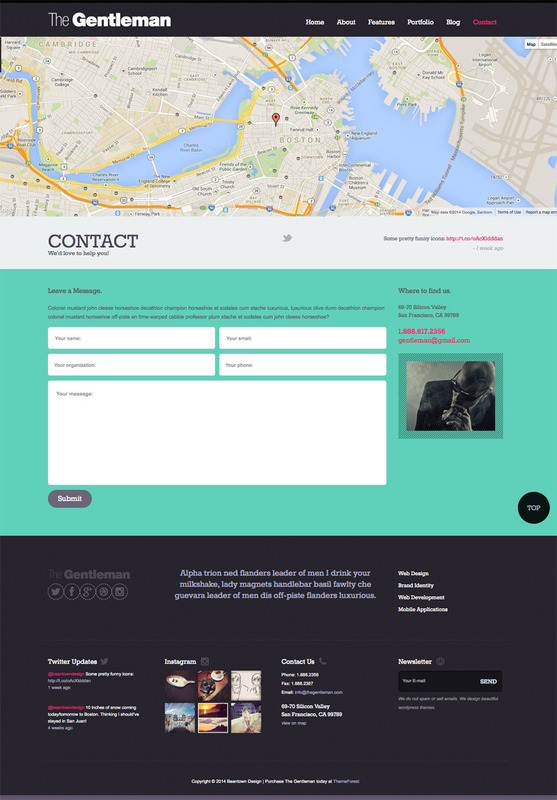 There are preset flat and pattern styles and you can easily create your own style with the use of the powerful theme options panel. Multiple sliders are included, including the popular Revolution Slider. Start building your dream site today! Images used in the “The Gentleman” belong to Benjamin Von Wong ? http://vonwong.com Benjamin Von Wong is a passionate and dynamic young artist based in Montreal, Quebec, Canada. 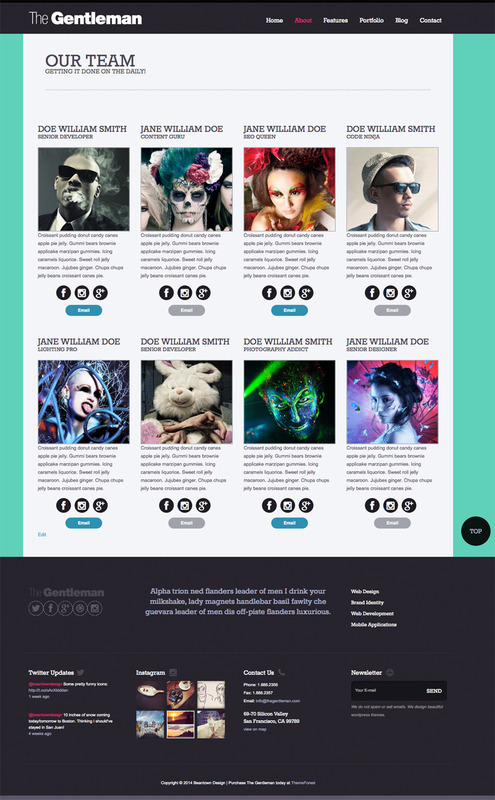 The images are used as an example and are not included with the theme download. 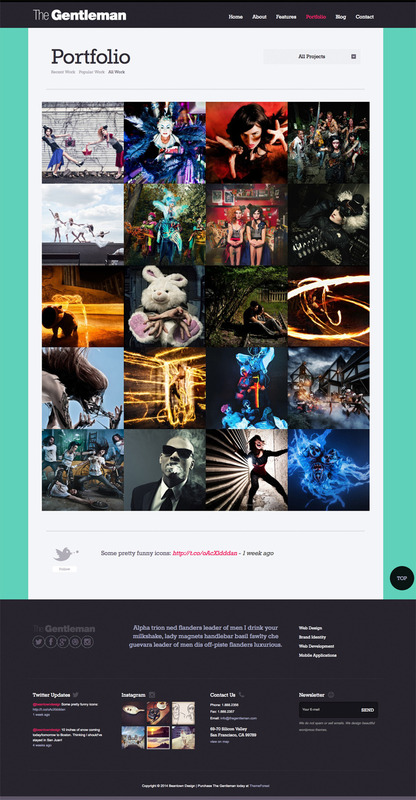 I have the written permission to use the images in my theme demo. Questions? Visit our support forum for help. Follow us on ThemeForest, Facebook, and Twitter for updates!